Emery’s Meat & Produce opened in October in the Twin City Plaza on State Street in Brewer, next door to the Winterport Boot Shop. It’s the third location for the family-owned meat market. Emery’s has other shops in Waterville and Gardiner. “We’d been looking to expand to the Bangor area for a while now, and the folks of Brewer just bent over backwards to help us find a place,” said Leon Emery, owner of the markets. Emery’s will offer an array of local and western meats at the 2,000-square-foot store, specializing in all cuts of gourmet beef. Emery’s also offers poultry, pork, lamb, fish and even goat and rabbit. 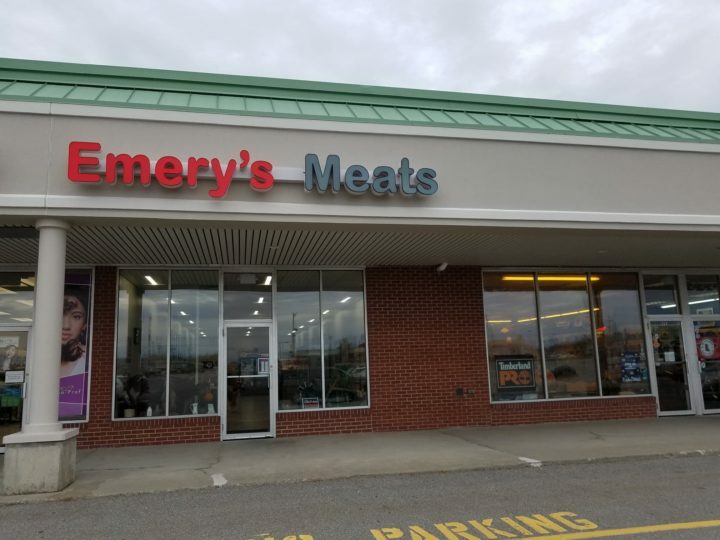 Emery's Meat & Produce recently opened a third location in Brewer's Twin City Plaza, offering hand cut meats and other Maine foods. Emery has been in the meat business for his entire life and says he first cut meat when he was 6 years old. Now 62, he has owned slaughterhouses, herds of cattle and even imported a herd of deer to Maine. 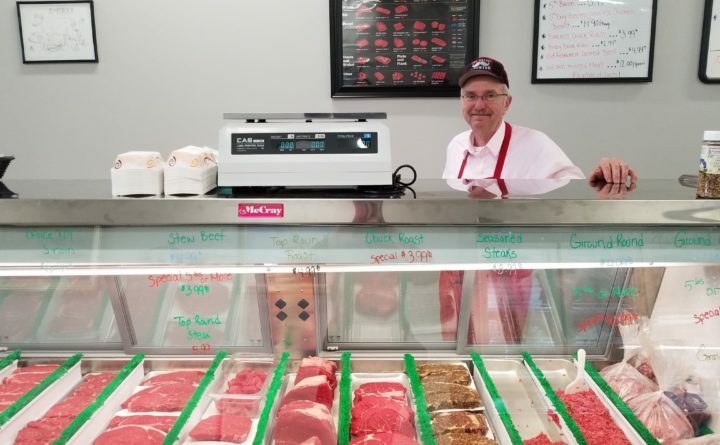 He has previously owned meat markets in Augusta, Monmouth and Newport, all of which closed in order to open the current locations in Gardiner, Waterville and, now, Brewer. Emery’s Meat & Produce will be open Monday-Friday, 9 a.m.-6 p.m., and Saturdays and Sundays, 8 a.m.-4 p.m. For more information, like them on Facebook.